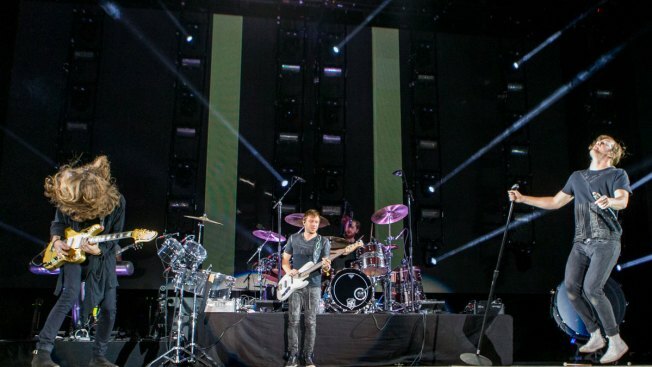 From left, guitarist Daniel Wayne Sermon, drummer Daniel Platzman, bassist, Ben McKee and vocalist Dan Reynolds of Imagine Dragons perform during the Life is Beautiful festival on Saturday, Sept. 26, 2015 in Las Vegas. The Imagine Dragons and Nate Ruess will headline an "All is One Orlando Unity Concert" to benefit the OneOrlando Fund, which was established to assist the victims and survivors of the gay nightclub shooting. The concert will take place at 7:30 p.m. June 22 at Hard Rock Live Orlando. 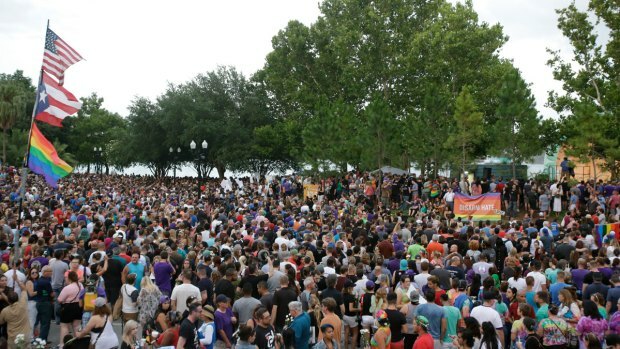 The OneOrlando Fund was set up after the Pulse nightclub shooting that left 49 victims dead and 53 injured.